AS3Commons project is dedicated to one principal goal: creating and maintaining reusable ActionScript 3.0 components. This is a place for collaboration and sharing, where developers from throughout the community can work together on projects to be shared. Logging: an abstraction over logging framework implementations. Being a pure actionscript library it can be used for any Flash/Flex/AIR project. Its use is recommended for use with other libraries/framework trying to be logging framework agnostic. Reflect: a reflection API for ActionScript 3.0. 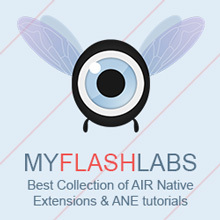 Being a pure actionscript library it can be used for any Flash/Flex/AIR project.